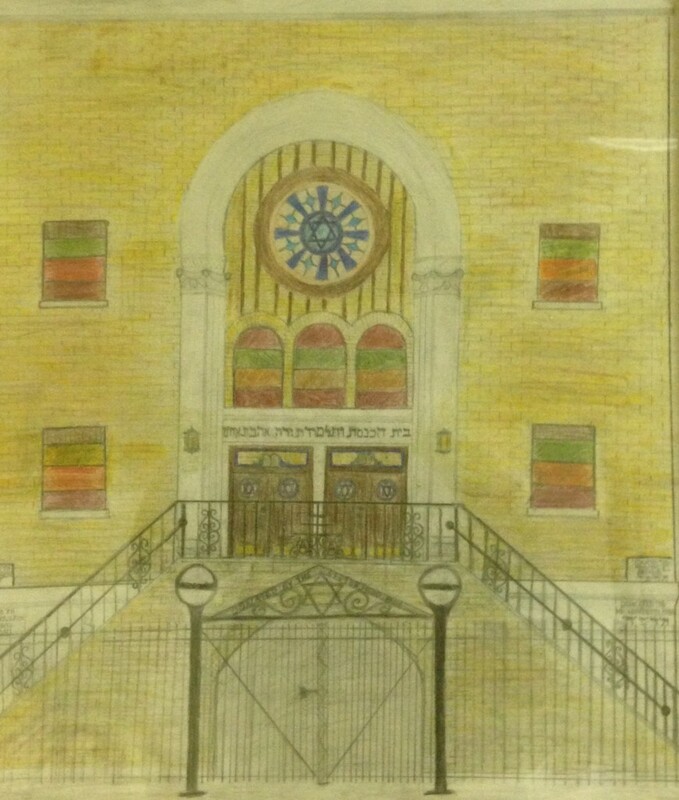 Congregation and Talmud Torah Ahavath Achim was originally built in 1924 and rededicated in 1927. According to census records of the original president and board members, the synagogue was originally an Austrian/conservative synagogue. Even though we where established as a “conservative” synagogue, we always had a orthadox minyan (or prayer service).The earliest Rabbi on record was Rabbi Dr. Meyer Karlin (1940 – 1967). Also known as “the prodigy of Moscow”, he came to this country in his adolescents, unable to read or speak english, yet still managing to do exceedingly well in his secular and religious studies. As a graduate of Yeshiva University, he earned a Rabbinical degree, and through a discovery on how to solve an insolvable math problem, earned a PHD in mathematics. In 1940 Rabbi Dr. Meyer Karlin became the Rabbi of Congregation Ahavath Achim. At the time a young and vibrant synagogue, he led a congregation that filled nearly a thousand seats on the High Holy Days and ran multiple minyans daily, serving the need of the congregation and the community. In 1967 he retired as Rabbi of our synagogue, after serving 27 years to a congregation he once led with pride and dignity. After he retired he was placed in the position of Rabbi Emeritus, a position he held till his death in 1980. In 1967 a man by the name of Rabbi Israel Poleyeff (1967 – 1990) came to the synagogue as a courageous leader. Also a graduate of Yeshiva University, he was well known for being a rabbinical scholar. Along with several other Rabbis of his generation, he was known for restoring and preserving modern orthodoxy after it was nearly lost during the Holocaust. He came to our synagogue a believer in modern orthodoxy, and for the first time in the synagogues history, he built a permanent machitzah (or separation between men and women) in the main synagogue. He brought a new light to our congregation that is still being instituted today. In 1990 Rabbi Israel Poleyeff left his position as Rabbi, leaving us in the trustful hands of our current Rabbi, Rabbi Ari Kagan (1990 – Present). Long before Rabbi Kagan filled his current position he attended our synagogue as a loyal congregant. Following in his predecessors food steps, he attended Yeshiva University earning a Rabbinical diploma. Today Rabbi Kagan is a leading member of the Vaad Ha’Rabunun of Flatbush. He maintains an Ashkenazi orthodoxy within the synagogue and keeps a diligent eye on our changing atmosphere. Unfortunately today we are victims of changing times and changing surroundings. Once upon a time our neighborhood was filled with Ashkenazi Jews, who where eager about participating in the synagogues programs, events and services. We used to have a board of education, sisterhood, mens club, choir ext., Today we are left with a skeleton of the past and memories so few of us can remember.